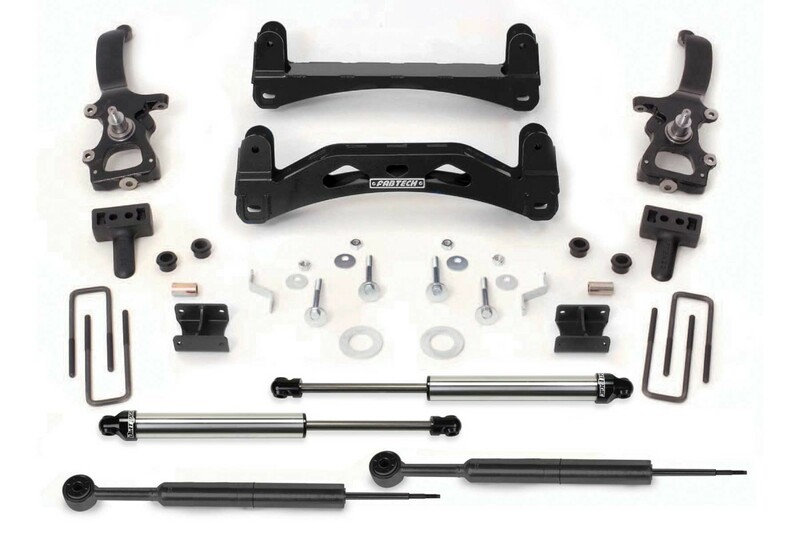 Using our arched lower control arm crossmembers and ductile iron extended length spindle technology this system provides superior ground clearance with a smooth ride. 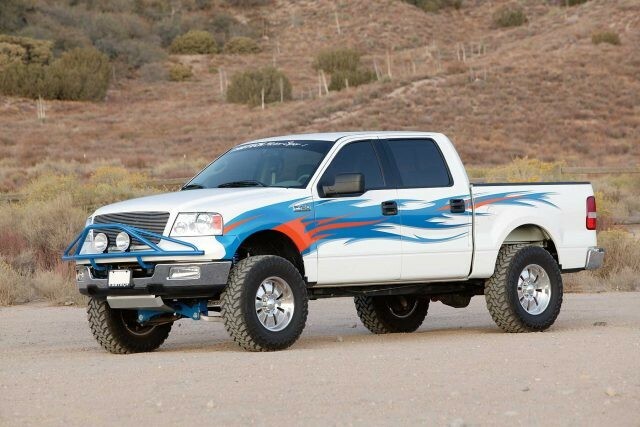 Included in this system are 2.25″ monotube front shocks that utilize the stock coil springs with anodized billet coil seats for a compliant on and offroad ride. 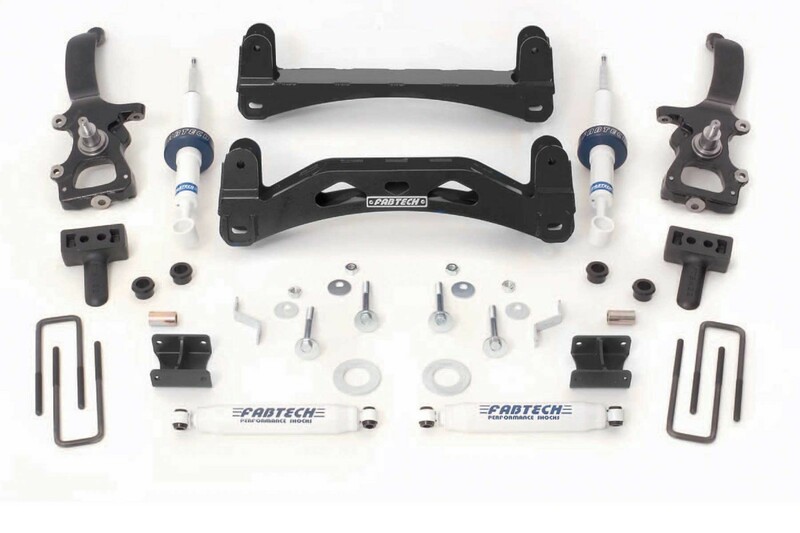 Other features include lower control arm eccentric cams for easy alignment, sway bar drop brackets, 2″ double pin cast iron rear lift blocks and u bolts.